An illegal metal detectorist told the authorities he was ‘in it for the money’ before he was fined for stealing an ancient gold ring. Ricky Smith, 34, of Cranleigh, was ordered to pay a total of £1,050 after being found guilty of theft at West Surrey Magistrates’ Court, said police. Smith was sentenced on Friday (June 17) after Surrey County Council staff told him he had to report his find to a coroner on September 17 2014. Smith, who had found the Bronze Age ring on bridleway in a private estate in Cranleigh, told the Finds Liaison department that he was a detectorist for 11 years and was ‘in it for the money’, said police. Three days later he called again to say that he was going to report the find to Sussex. But it was later confirmed that Smith had contacted a museum in Sussex but had not reported his find to the Coroner, breaching the 14 day gap granted by the Treasure Act legislation. Detectives later identified Smith and found the ring at his home. He was summonsed to appear for a court hearing on April 12 but failed to appear. A warrant was issued and he was arrested on May 9. The gold Bronze Age Penannular ring, a gold ring with a small section missing, which is believed to be worth between £500 and £600, has since been offered for sale to local museums. The ring is believed to date from the Late Bronze age period (1150 to 750 BC) and weighs 9.46 grams. Nationally, about six Penannular rings are found each year, but this is only the fourth gold Bronze Age item to be found in Surrey, meaning that it is of particular importance to the county. Not reporting the find at the time also means that important information regarding its location has been lost. 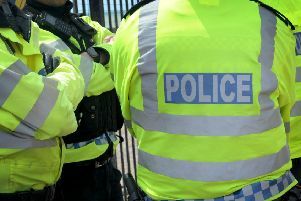 West Surrey Community Safety Sergeant Adam Luck said Surrey Police had worked closely with Surrey County Council’s Finds Liaison Officer and Historic England throughout the investigation. Sgt Luck continued: “The successful conviction of Smith is the result of a lengthy and thorough investigation, which also included extremely effective joint working with other agencies, including Historic England, who is the font of all knowledge on all matter relating to heritage crime, the Portable Antiques Scheme and Surrey County Council. Mark Harrison, National Policing and Crime Advisor for Historic England, said: “Illegal metal detecting is not a victimless crime. The actions of people like Smith, affects us all because they are damaging or stealing objects that we will never see or understand because they have been taken out of these sites with no care or record as to their history or context.